Steve has over 30 years of experience in Police and Military operations, including an extensive leadership background. He is a highly skilled and professional instructor providing cutting edge training in leadership, firearms, tactical and self-defense applications. Steve has instructed and trained Military, Police and qualified Civilian personnel and units around the world. He has been involved in numerous deadly engagements and imparts workable knowledge to his students gained through real world experience and a life lived on the front lines. United States Marine Corps: 1981-1985 Active Duty: 2nd Force Reconnaissance Company, 3rd Reconnaissance Battalion. United States Army: 1992-2010 Reserve/ Active Duty: 142nd Long Range Reconnaissance Unit, 105th Infantry (light) "A" Company, 20th Special Forces Group (AIRBORNE) "C" Company,106th Regimental Training Institute (Regimental First Sergeant). USMC Amphibious Reconnaissance, US Army Airborne, Special Forces Combat Diver, US Army Jumpmaster, US Army Ranger, USMC Scout/Sniper, USMC NBC Decontamination, USNSW Sub Lockout/Rigger, French Jungle Commando, US Army Air Assault, FBI Sniper, FBI SWAT, US Army PLDC, US Army Soviet/NATO weapons, US Army TAITC (Instructor), US Army Small Group Instructor, US Army 11B MOSQ/BNCOC Instructor, US Army Special Response Team, US Army Combat Life Saver, US Army TAC Qualification, US/AFGHAN Counter-Insurgency Academy. New York City Police Department: 1990-2012 Duty Assignments: 9th Precinct, Patrol Officer, 73rd Precinct, Patrol Officer/ Anti-Crime Officer (Plain Clothes), Emergency Service Unit, Squads 8, 7,10, Apprehension Tactical Team, Counter Sniper Team and ESU Tactics Section Instructor. NYPD Anti-Crime, NYPD/ESU Specialized Training School (880 hours), NYPD/NYS EMT, DHS WMD Technician, ODP Radiological/ Nuclear Technician, NYPD Criminal Investigation, NYPD Dignatary Protection, Strategos Low Light Operator, Team One Low Light Techniques, US FAMS L/E In-Flight Tactical Course, FLETC Maritime Tactical Operations, GMATS Vessal Boarding and Search. 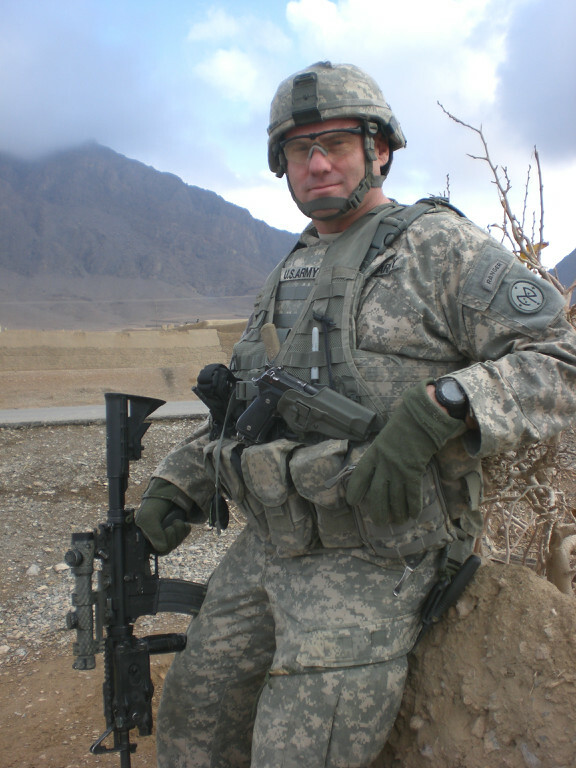 Military service of over 23 years with deployments and operations in Europe, South America, South East Asia and 2 Combat tours in Afghanistan. Duty Positions; Recon Team Member, Recon Assistant Team Leader, Recon Team Leader, Scout Sniper, Squad Leader, Weapons Sergeant, Platoon Sergeant, Patrol Leader, Instructor, Chief Instructor, Section Chief and Regimental First Sergeant. Rank at retirement: First Sergeant. Police Service of over 22 years with Patrol and Plain Clothes assignments followed by over 14 years of service in the Emergency Service Unit. Has performed over 2,500 high risk entries and tactical operations, has also performed numerous hostage and technical rescues. Tactics Instructor for the Emergency Service Unit. Rank at retirement: Detective Second Grade. All instructors on our staff are professionals with operational backgrounds and experience. Our instructors all understand the importance of proper training and instruction, your ability to apply the skills they teach is the primary focus of our courses. All of our instructors are trained by Steven Hayden the company's president and chief instructor, our objective is clearly defined. 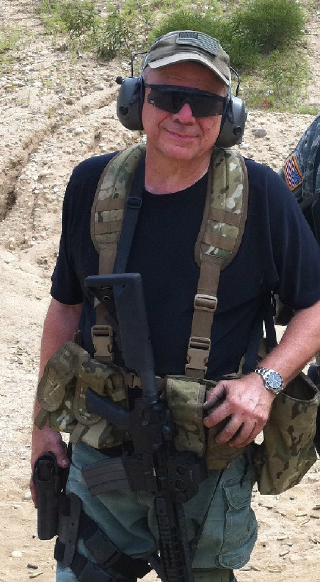 Andy has over 40 years of experience in Police and Military operations. He has served in all positions and ranks as an enlisted member of the U.S. Army, this includes leadership and instructor billets. Andy has served in multiple combat theaters and is a veteran of two wars. His Police experience spans 33 plus years with the NYPD where he served in a number of assignments, these range from Street Patrol, Narcotics Investigator and Emergency Service Unit Officer. Andy has instructed police, military and civilians the world over, he brings this experience and talent to all those he teaches. 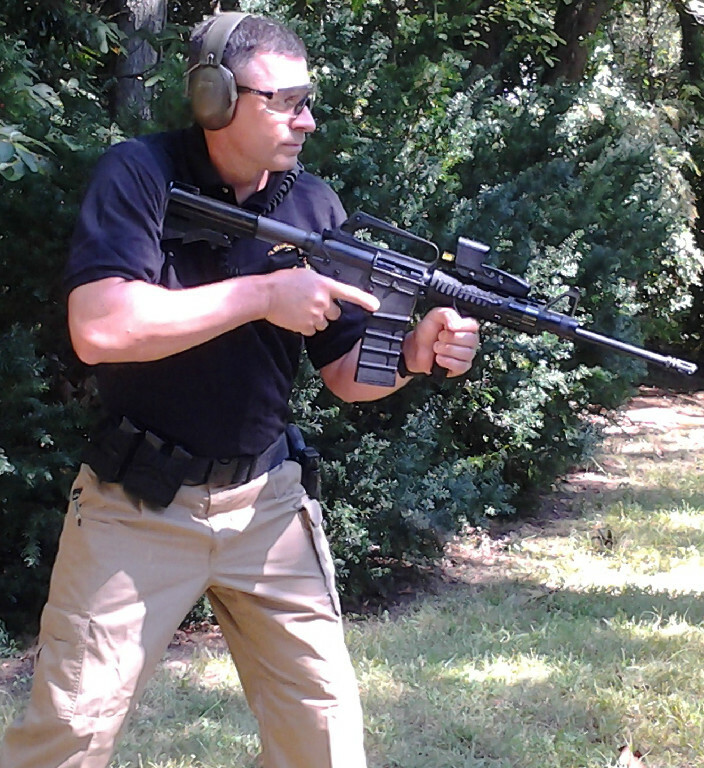 5) H&K MP-5 Instructor 13) American Combat Evolutions Advanced Self-Defense Instr. U.S. Army: 1967-68 Vietnam Squad Leader, 101st Airborne Division, 2002-2003 Afghanistan Intelligence Sergeant 20th Special Forces Group, 2005-2008 Team Sergeant ODA 2036, 20th Special Forces Group. U.S. Army Airborne, U.S. Army Special Forces Qualification Course (Demolition Sergeant), U.S. Army Jumpmaster, U.S. Army Pathfinder, U.S. Army Special Forces Intelligence, U.S. Army Special Forces Light Weapons, Special Forces Advanced Urban Combat, PLDC, BNCOC, ANCOC, U.S. Army Mountain Leader. New York City Police Department: 1969-2002 Duty assignments; Patrol Officer, Narcotics Investigator, Emergency Service Officer, NYPD/ESU; Counter Sniper, Tactics Instructor and Firearms Instructor. NYPD Criminal Investigation, NYPD Dignitary Protection, NYPD Specialized Training School, H&K MP-5 Operator, CT-707 Active Shooter Intervention, ROCO Tactical Rope, New York State EMT-D, Redback Advanced Carbine, FBI Semi-Auto Pistol Transition and Qualification, FBI SWAT, NYSRPA Small Arms Firing School, NRA Range Safety Officer Course. Military service, 35 years with deployments and operations in Central and South America, Europe, South-East asia and South West Asia. Combat tours in Vietnam, Haiti and Afghanistan. Duty assignments: Automatic Rifleman, Squad Leader, Special Forces (Engineer, Light Weapons, Intelligence), Special Forces ODA Team Sergeant. Rank at retirement: Master Sergeant. Police service, 33 years with duty assignments in Patrol, Narcotics and the Emergency Service Unit. Has performed in excess of 3,500 high risk entries and tactical operations to include numerous hostage and technical rescues. Tactics Instructor for the Emergency Service Unit, rank at retirement: Police Officer. Andy has over 27 years of experience in Emergency Medical and Police operations. He has served as an EMT, Paramedic, EMT-4 Paramedic Instructor and Paramedic Instructor/Coordinator for the NYPD Emergency Service Unit. His police service spans over 20 years with the NYPD with duty assignments in Transit, Patrol, Anti-Crime and the Emergency Service Unit. Andy has been an instructor for over 20 years, he brings a vast amount of street experience into the classroom providing the finest Tactical Medical training available. New York City EMS: 1985-1993 Service as a EMT and Paramedic. Emergency Medical Technican, Paramedic, EMT-4 Paramedic Field Instructor. New York City Police Department: 1993-2014 Duty Assignments; Transit Tactical Patrol Force, Patrol, Anti-Crime, Emergency Service Officer. 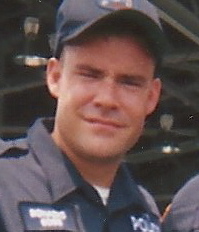 NYPD/ ESU WMD/ Haz-Mat Instructor, EMT/ Paramedic Instructor. Emergency Service Unit Specialized Training School (880 hours), FBI SWAT, FBI Firearms Instructor, NYPD Firearms Instructor, WMD Technician, Haz-Mat Technician, Tactical Medic, ROCO Tactical Rope. Andy has a vast amount of experience treating trauma patients in the field from both a medical and tactical perspective. His EMS service of 8 years provided him with invaluable insight into the application of emergency medicine. Andy currently serves as a member of the NYPD Emergency Service Unit where he has performed in excess of 1,000 high risk entries and tactical operations. As the tactical medical authority for ESU he has also performed numerous hostage and technical rescues, this cumulative experience allows him to bring an informed and professional capacity to all his students. Rank: Detective Second Grade. Mike has over 30 years of experience in Military and Police operations. He has served in all ranks and positions in the U.S. Marine Corps Infantry to include leadership assignments. Mike was an NYPD Police Officer for over 10 years, with service on Patrol, Conditions Unit and in the Emergency Service Unit before his career was cut short by an on duty injury which forced his early retirement. Mike is a true professional with a wealth of operational experience and an easy teaching manner that displays the confidence gained through a life of dedication and service. United States Marine Corps: 1980-2000 Duty assignments; Infantryman, Scout/Sniper, Squad Leader, Platoon Sergeant, Scout/Sniper Platoon Sergeant, Marine Security Guard at U.S. Embassies Abroad, Company Gunnery Sergeant and Battalion Operations Chief. Infantry, Mortar, Scout/Sniper, Marine Security Guard, Counter Terrorism, U.S. Army Airborne, Jungle Environment Survival, Rappel Master, Assault Climber, Helicopter Rope Support, NBC Decon. New York City Police Department: 1992-2002 Duty assignments; Patrol Officer, Emergency Service Unit. Emergency Service Unit Specialized Training School (880 hours), New York State Emergency Medical Technician, Emergency Psychology Technician, Haz-Mat Technician, ASP Baton, Glock Armorer, FBI Sniper, FBI SWAT, ROCO Tactical Rope, New York State Firefighter. Police service over 10 years with the NYPD; duty assignments in Patrol and the Emergency Service Unit. Mike is an experienced street officer and tactical team member. Mike has performed in excess of 200 high risk entries and tactical operations, he also performed numerous hostage and technical rescues. Rank at retirement: Police Officer. Content copyright 2019. AMERICANCOMBATEVOLUTIONS.COM. All rights reserved.